With 17 locations across five states, LifeChurch.tv hosts more than 50,000 attendees a week during high-intensity services, complete with house bands and exciting sermons. 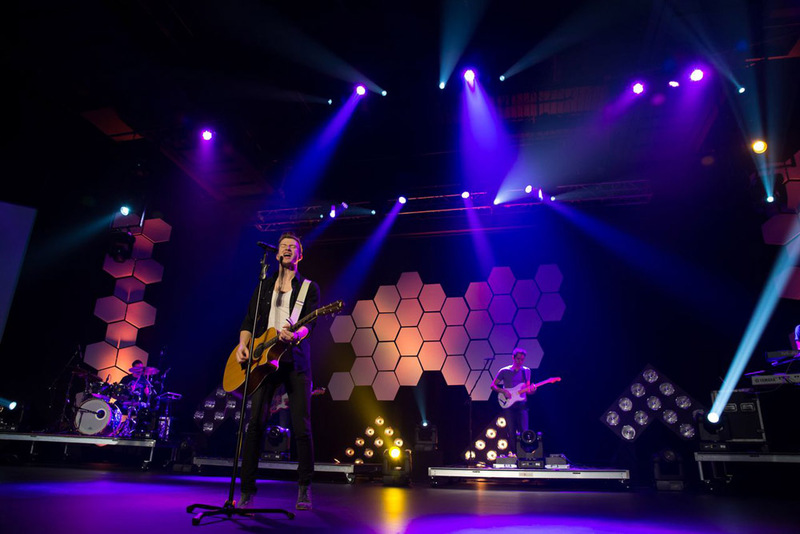 The majority of the 165 services per week throughout LifeChurch.tv are lit with HARMAN’s Martin lighting fixtures. Steinas Systems continues to provide LifeChurch.tv with its lighting gear for a full inventory of lighting and a backup supply to keep the services bright, both in person and online. LifeChurch.tv uses a vast amount of Martin fixtures, including the RUSH series, MAC 101’s, MAC 250’s, MAC 600’s, MAC Manias and Wizards, and Tripix, among others. Six of the LifeChurch.tv facilities also boast HARMAN’s JBL VRX line array elements for sound reinforcement: Tulsa, Fort Worth, Keller, South Oklahoma City , Northwest Oklahoma City and Studio B at its Central Offices. LifeChurch.tv has 12 venues in Oklahoma, two in Texas, one in Tennessee, one in upstate New York, and one in Florida. Per campus, the technical team uses approximately 30 Martin lighting fixtures, resulting in over 500 active lights, with a va amount of spare pieces ready to be deployed in the case of a failed unit. The church’s “hub and spoke” model allows for immediate response and swap on a downed fixture. The dynamic church services also integrate video throughout all locations.